Estinien - the Azure Dragoon who watches over the Holy See of Ishgard. 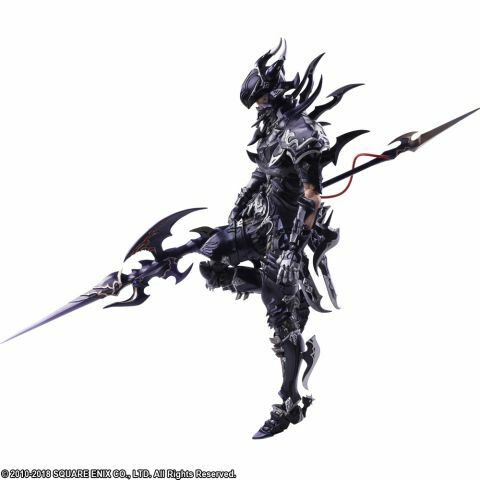 For this Bring Arts figure, we made sure to pay careful attention to Estinien's overall silhouette, including his tall and lean physique, and strove to bring out the cool and aloof demeanor that is characteristic of the dragoon. The paintwork of the armor features some metallic colors, and a drybrush painting technique was applied to further enhance the fine details. Additionally, we were careful not to make the metallic parts too shiny, resulting in a finish that is indicative of the meticulous attention to the texture. This figure includes an assortment of accessories, including the Gae Bolg spear with wings that open and close, the eye of Nidhogg, an interchangeable face piece, a display stand, and more. Recreate your favorite scenes from the game with this poseable action figure!